Find your passion. It doesn’t matter what it is, as long as it’s yours. You won’t ever give your all if you follow someone else’s dreams and wishes. Have courage to know what will fulfil you and go after it. 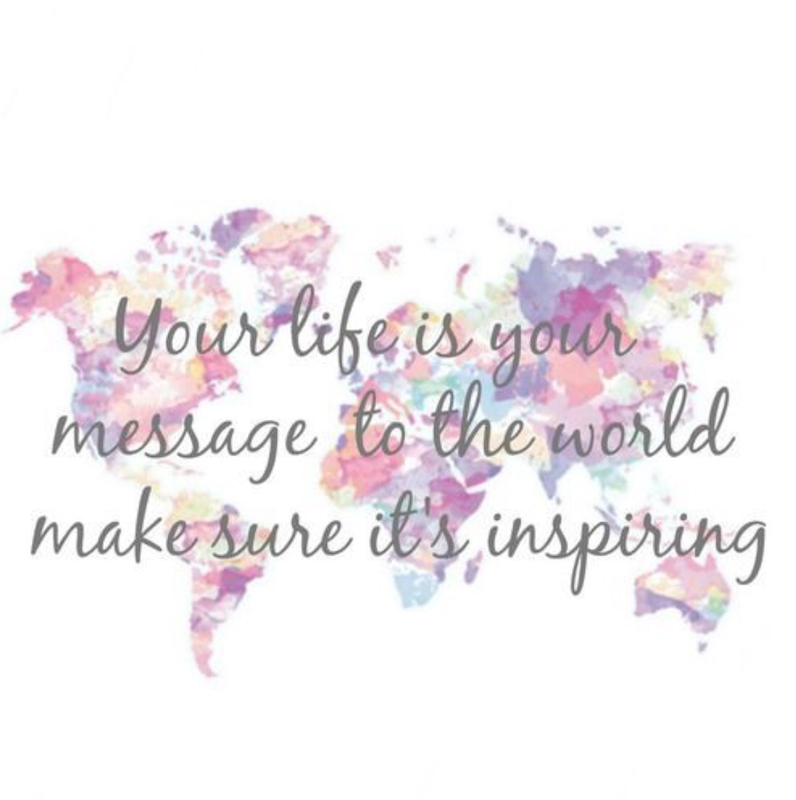 Share your passion with others, and inspire others to find and share theirs too. Every person we cross, from stranger to loved one, is left with a mark. Make one that lasts for the right reasons. Even a smile or a thank you can turn someone’s day around. If not, make amends, say sorry to those you’ve wronged. Forgive those who wrong you. Be the bigger person, be the better person. Many times, what is right is not what is easy. But take the road less travelled anyway. Find solutions to problems that have been ignored. Stand up for those who cannot do so for themselves. Stick by your own morals. Practice what you preach. Keep your promises. What goes around comes around. It may not be easy, but it will be worth it. Three wonderful concepts to live by and be remembered for. I nominated you for the Mystery Blogger Award. Hope you accept and enjoy participating. Keep up the wonderful work. Thanks very much, I’ll take a look!